How often should I clean and reproof my walking boots? Everything from dirt particles and salt from sweat wearing down technical fibres, to wet grass blades stripping off the durable water repellent coating (DWR), can affect the performance and longevity of your boots, so it’s important to clean your footwear after every outing and to regularly reproof depending on how frequently you walk. Generally, full grain leather boots require more aftercare than thinner nubuck leather, suede or fabric footwear. Whatever technical materials your boots are constructed with, they must be properly cleaned and dried before reproofing. Always remove insoles and laces before cleaning. You can wipe down the insoles with a warm, damp cloth separately. Bang the soles together to loosen excess dirt and clogged mud before rinsing with cold water. Use a technical cleaning spray (never use detergent) and toothbrush or nylon brush to remove remaining stains and grit. Shake off any excess moisture after cleaning and stuff your boots with balls of newspaper. Replace the moisture-absorbing newspaper every 6-12 hours until the boots dry naturally. If possible, never dry boots on top of a radiator or dry them too close to heat sources like fires. This can make boots smell and even distort their shape and damage their materials/adhesives. Use a cloth to sparingly rub wax over the boot. If the wax is too hard, soften it with a hairdryer! 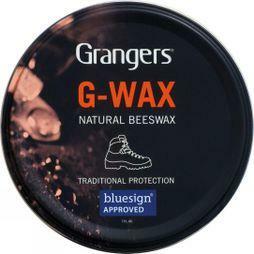 Allow the wax to dry naturally for 60 minutes before gently buffing off excess with a new cloth. Unlike other boot fabrics, full grain leather requires conditioning when it dries out or starts to crack, to prevent it from shrinking and losing its durability. Use a finger or cloth to rub the conditioner into the leather and stitching (apply when the boot is clean but slightly damp for better absorption). After a few minutes of drying, buff off the excess. 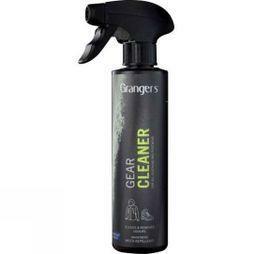 Evenly spray reproofer a few inches away from clean boots before leaving to dry out naturally. Never wait for your boots to fail you in the outdoors; always repair or replace them well in advance. If the outsole starts to detach from the upper on the trail (particularly on the front of the boot), ensure that the boot is dry before applying adhesive and tightly binding the front in duct tape (wrap a few strips around your water bottle). Let it dry overnight (you can visit us in-store for expert repairs after your trip). If your laces are showing signs of fraying don’t wait for them to snap on the trail; replace them before your next hike or carry a spare pair in your backpack. When properly fitted, walking boots protect and support the feet and ankles while wicking sweat, to keep feet dry and comfortable and minimise the risk of blisters or injuries. The correct footwear should make every trip into the great outdoors the adventure of a lifetime, not a painful slog through the wilds. When properly fitted, walking boots should move moisture away from the skin to reduce the risk of blisters while allowing heat to escape and cool air to enter keeping you feeling comfortable. They also protect and support the feet and ankles so you can confidently move over a range of rugged landscapes. Here’s our 4-step guide to how you can find and fit the perfect pair.